I'm having problems creating a new master image for Z Series clients on a Zx0 client. 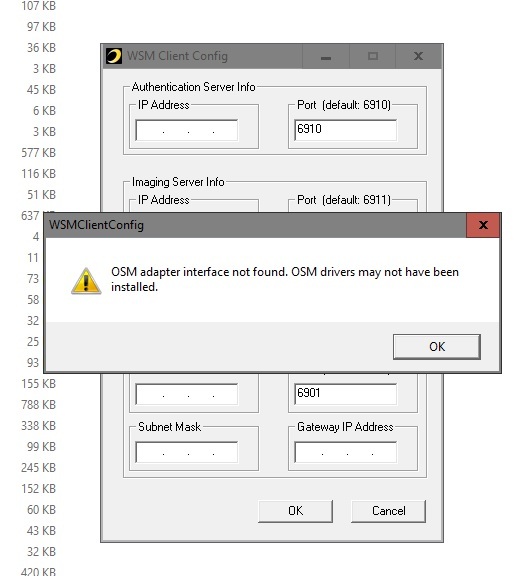 The WSM client is installed but if I try and run the VDiskImageCreation I get an error telling me "No adapter interface specified during client installation"
If I try and run the WSM Client application again I'm not "OSM adapter interface not found. OSM drivers may not have been installed."